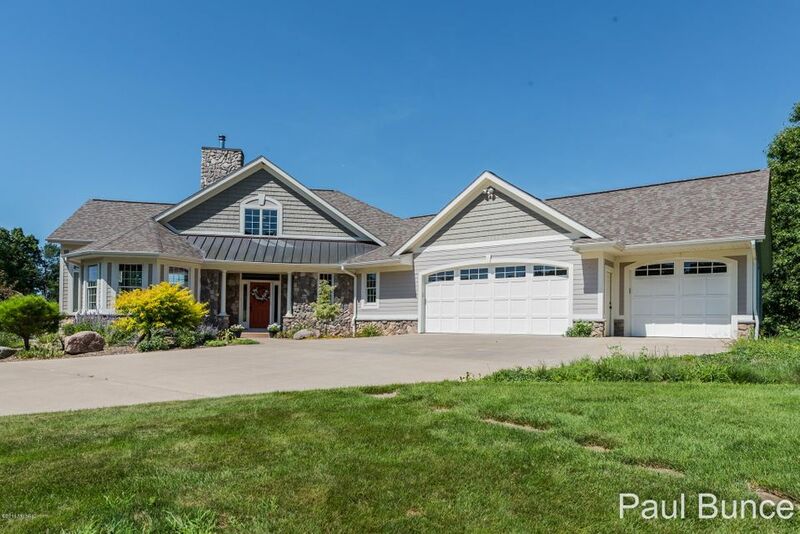 Exclusive opportunity to own this magnificent, executive home with acreage. This home is truly one of a kind. Pride in home ownership is evident throughout this wonderful estate built on 13 private, rolling acres. Let's start with the luxury amenities including Wolf/Subzero appliances, exclusive Amish cabinets with granite, custom venetian plaster powder room, geo-thermal radiant heat, and whole home generator. Also featured, distinctive Hearthstone Mansfield wood burner with rare marble accent wall, composite deck with tempered glass railing, 40x28 two story barn, and Anderson Low E windows with phantom disappearing screens. Exceptional built-ins and luxurious finishes complete this one of a kind masterpiece. Call today for your private showing.